The threat by Rivers State Governor, Nyesom Wike to resign as the South South Coordinator of Atiku Abubakar Presidential Campaign Council has, once again brought to the fore, pains still stemming from unhealed wounds in the Peoples Democratic Party (PDP). In fact, had Wike not been pacified to back down from his planned resignation by critical stakeholders within the party, including former President Goodluck Jonathan, the party’s plans of reclaiming the Presidency, which it lost to the All Progressives Congress (APC) would have received a jolt of seismic proportions. 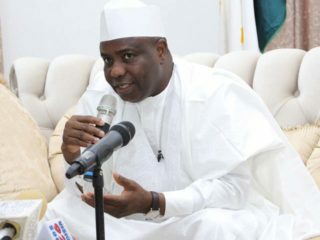 In the build-up to the party’s presidential primary, a powerful blog within the party had plotted to relocate the convention venue from Port Harcourt to elsewhere in the South South, due to Wike’s perceived support for Sokoto State Governor, Aminu Tambuwal. 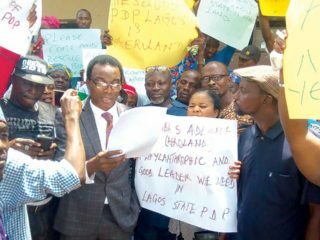 Pronto, the governor vehemently warned that there would be consequences if the PDP succumbs to pressures from some undisclosed presidential aspirants to move the convention away from Port Harcourt. He further threatened that Rivers State delegates would teach the party a bitter lesson if it allowed desperate presidential aspirants to scuttle the hosting of the primary in Port Harcourt. Because the party did not have the luxury of time, critical stakeholders waded in swiftly to douse the tension, which the governor’s outburst generated. Wike’s support for Tambuwal also fuelled speculation that he might be nurturing a vice presidential ambition, as he had earlier claimed that some presidential aspirants who sought his support had offered him the position of Vice President in the course of political consultations, which he said he declined. Amid the intrigues, Wike had his way as the PDP presidential primary eventually held in Port Harcourt. However, Wike, who had overtly and covertly thrown his political weight behind Tambuwal, could not thwart the formidable political machinery of Atiku, who eventually won the keenly contested presidential primary. The Guardian gathered that while the deep cut inflicted on Wike during the primary still festers, some strategic appointments made into the PDP national campaign council have also not gone down well with the governor and his supporters who feel that certain forces within the party were methodically crafting a new political hegemony. A source within the party told The Guardian that Wike felt marginalised, belittled and undermined by Atiku’s coterie, who have not been taking his supporters views into account, while formulating plans for the party’s future, particularly as it concerns the forthcoming general elections. According to him, Wike felt he was losing his ability to influence the direction of things in the party. It was also gathered that before Wike voiced out his grievances to some party members, he had reckoned that the party was gradually turning out of gear and giving less recognition to him and others, who had worked tirelessly to bring the party back from the brink; and still working with same zeal to retake power from the ruling APC. However, before Wike could formally tender his resignation as zonal coordinator, an emergency meeting held between him and top leaders of the party, including Jonathan, in order to prevent friction within the party that could precipitate PDP’s loss of Rivers State in 2019. “The issues are largely political and several persons had intervened to douse tension. He did not resign formally; he just said he was not doing the job again because he thinks they were not treating him and Tambuwal right. But Tambuwal, who is the Coordinator of North West, was the first to mount pressure on him to rescind the decision at this point. Obviously, he has some unresolved grievances that require him to sit down and discuss with leadership of the party for amicable resolutions to be reached,” a source in the party said. 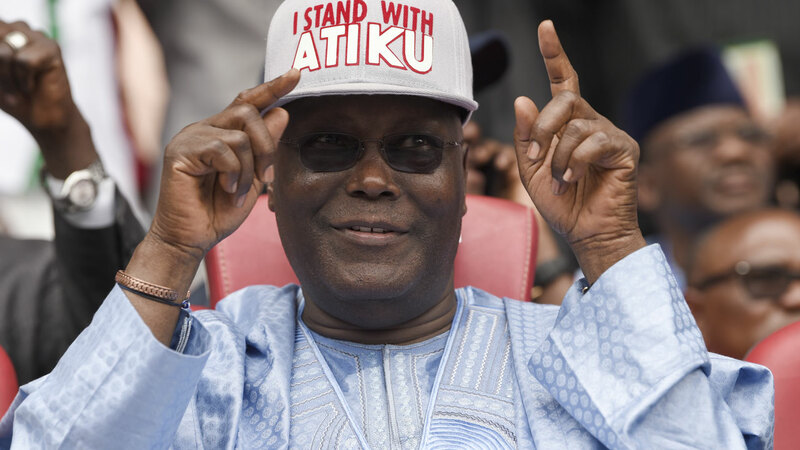 A source in Atiku’s camp, told The Guardian that the PDP presidential candidate himself met privately with Wike all in a bid to manage the conflict and prevent it from creating tension and instability within the party only weeks to the general elections. “I must say that it was extremely important that the national leadership of the PDP, including President Jonathan, got involved and resolved the issues at stake. Atiku met with him because he has to. Everybody is important in this business. The issue is that at least they discussed. They met with Tambuwal too and even President Goodluck Jonathan met with him,” he said. A political analyst, Ross Alabo George, observed that when politicians feel aggrieved sometimes, the often resort to threats to force attention. According to him, Wike has successfully deployed this strategy in his political exploits, stressing that Atiku’s group may not have reached out to a lot of the South East and South South governors properly. 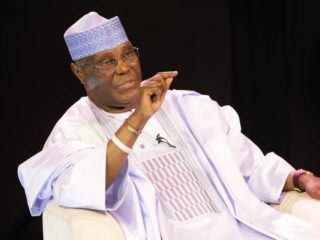 He said that Atiku group is made up of very experienced and seasoned politicians and they have basically tried to run the system using their vast experience, without giving due recognition to Wike and others. “Wike had control over the party, but now the Atiku structure seems to have taken over and I think Wike is not happy. But I think Wike understands the consequences of pulling out from the Atiku structure completely. I don’t think he will do that. I think what he has done is to force them to the table. He needs the party because the people that will back him when things begin to go wrong in Rivers State are there. Of course, there is a plan to rig the election in Rivers State. The people that will fight for him when security agencies barricade his house; when his movement will be restricted are in the party. He will need the voices of these seasoned politicians nationwide to speak for him. He needs the party’s structure around the country; he needs the contact that the party has and so on,” he said. George insists that Wike could not actually attempt to defy and refuse to tow the party’s line at this point, particularly as the crucial 2019 general election draws near, adding that both Wike and the party desperately need each other at this point. 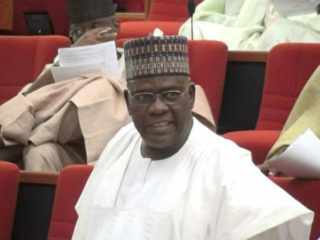 Another political observer, Robinson Sibe said the fact that both Atiku’s group and Wike’s supporters have not come out to refute the claim that the governor had threatened to resign is an indication of some unresolved issues. He also reckoned that it would be politically unwise to sow a seed of discord within the party ahead of the 2019 general elections. “Both parties need each other parties seriously right now because you need national coverage from your party, and party structure to guide you and see you through, especially if the opposition wants to rig you out. But I believe that what is happening is a move to draw attention to his grievances as somebody who was relatively in charge of the party, and suddenly things began to slip away from him. It is possible that this is his line of thinking. It is also possible that his people are being victimised, just as it is possible that the people who are supporting him are not carried along in terms of appointments into the campaign council. There were very strong sentiments that characterised the party primary and I thought they would find ways to kill those sentiments.,” he said. Meanwhile, a pro-Wike group, the Grassroots Development Initiatives (GDI) has declared its readiness to carry out door-to-door campaign to convince the electorate to see reasons why it should vote for both Atiku as President, and for Governor Wike.